Since the launch of Android Auto, drivers have been disappointed by the requirement to have their phones tethered to a cable. Not only was it inconvenient to plug in each time you got in the car, especially if you had a lot of quick stops to make, but it was also problematic when most cars didn't feed enough power through the designated port to keep phones from draining. Google finally let it slip that Wi-Fi support would be launched for Auto, and with the latest version, it looks like Google is just about ready to make it a reality. 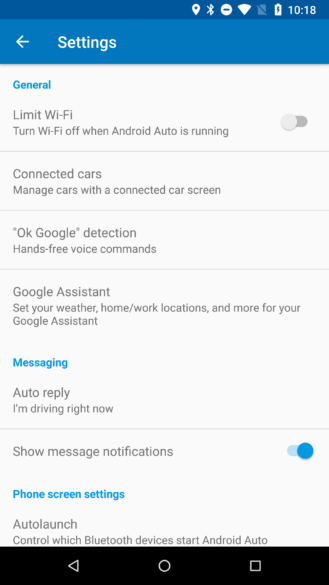 The Settings screen now contains one additional item: A shortcut to Google Assistant. 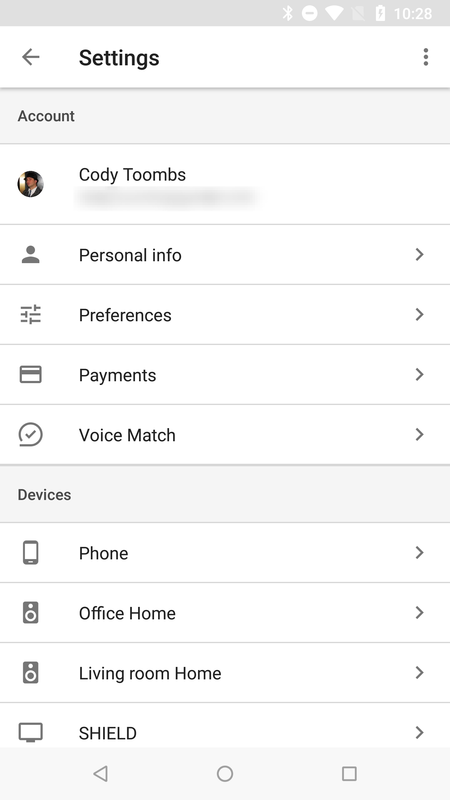 It of course opens to the Assistant settings screen in the Google app, so there's nothing particularly exceptional about this, but it is convenient if you're already in Android Auto. 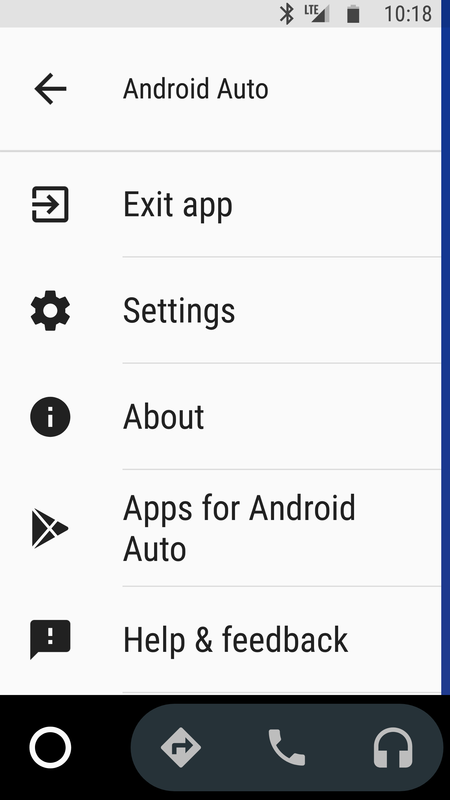 Open the Auto app on your phone and you'll now find the "Exit app" command has been moved from the top of the navigation drawer to the bottom. It follows the conventional placement of an exit command at the bottom of a list, and it puts the command where people can easily reach it if they're using their phone one-handed. All of the other menu options are still in the same order, but one line higher. Disclaimer: Teardowns are based on evidence found inside of apks (Android's application package) and are necessarily speculative and usually based on incomplete information. It's possible that the guesses made here are totally and completely wrong. Even when predictions are correct, there is always a chance that plans could change or may be canceled entirely. Much like rumors, nothing is certain until it's officially announced and released. 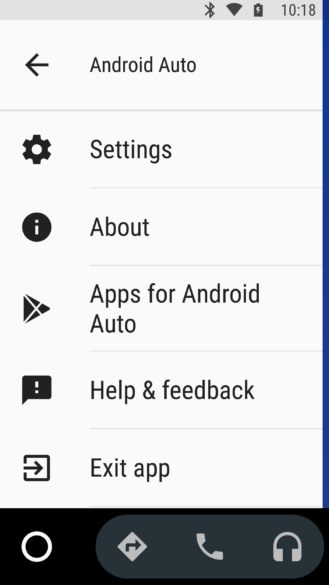 The features discussed below are probably not live yet, or may only be live for a small percentage of users. 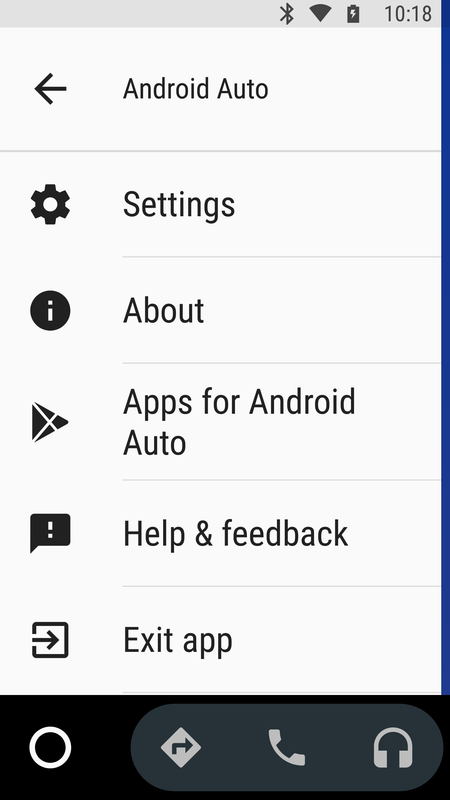 Unless stated otherwise, don't expect to see these features if you install the apk. I won't beat around the bush, it's pretty clear this version of the Auto app adds Wi-Fi projection mode. It's not actually clear if it's working yet – I don't have a car that supports it – but the obvious elements are here. There are new elements in code and resources related to wireless projection. New lines have also been added to the Settings screen layout that allow users to enable or disable wireless projection on their phone. 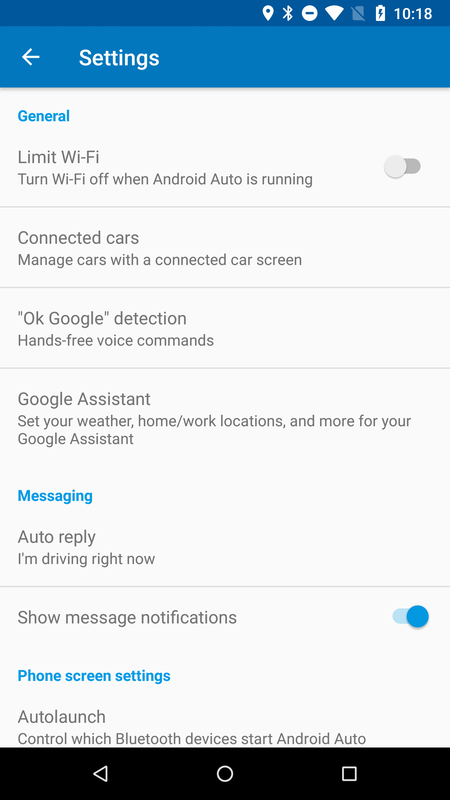 I would expect these settings to appear on any phone, even if they've never connected to a Wireless-capable car, which leads me to think Google hasn't flipped the switch quite yet. Nevertheless, we're probably getting pretty close. We're still looking for additional changes, but for now, we would appreciate if somebody has a wireless-capable car could confirm whether this version fully supports wireless projection or if it's just putting some of the pieces into place.